Mail.ru Group, a leading Russian Internet group, announced this past Friday the winners of its annual Best Gadget of the Year Award, East-West Digital News, the international resource on Russian digital industries, reported earlier today citing Mail.ru. 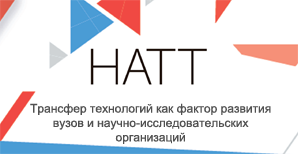 The award event was hosted by Hi-Tech Mail.Ru, the group’s media project which collected users’ opinions on new tech solutions across digital sectors. 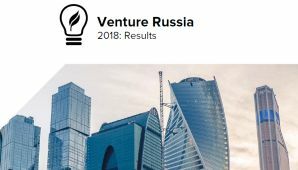 With more than 2.3 million votes taken into account – the first-ever such Russian award to beat its international analogs by sheer number of votes – the online project expanded into the offline world for the first time this year when an official awards ceremony was held in Moscow. More than 100 representatives of the telecommunications industry took part, including ten top managers from some of the world’s leading manufacturers such as Samsung, Microsoft, Nokia, Asus, Lenovo, Sony, and others. With 112 digital devices to choose from, including smartphones, laptops, tablets, TV sets, etc., Russian Internet users pronounced the Samsung Galaxy S III the “Model of the Year” and the “Smartphone of the Year.” In fact, Samsung took 11 out of 43 prizes, including first place in TV set preferences. The Apple MacBook 15 Pro with Retina Display and the Apple iPad 4 won the hearts of the voters in the laptop and tablet categories, respectively. The Nokia Lumia 920 smartphone was named the “Innovation of the Year” by a whopping 59% of the voters in that category. In two more nominations, Svyaznoy, a leading mobile phone retailer, was named Best Retailer, while the Best Mobile Operator title went to MegaFon. The first Best Gadget of the Year Award was held in 2010. It has evolved since then into a source of market analysis for Russia’s digital industries.